Either blogger or vlogger will show more commitment towards their work which in return will build the huge fan following in the name of subscribers. All these will lead to gain funds from the fans or others which helps in framing the ultimate design of their channel, growing economically or donating to charities. The guide to Patreon Creator Page has been explained here. The only way that can be used as a major platform to hook all these is “Patreon”. It sounds something strange no worries everything about it can find in this article. 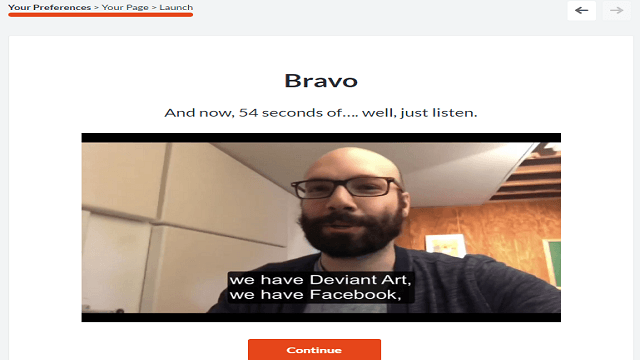 What is Patreon Creator Page? 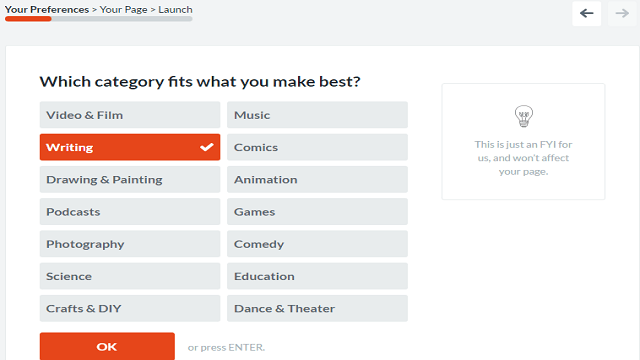 How to set up a Patreon? How to Promote your Patreon? How to get Patreon Supporters? How to be Successful on Patreon? How much does it cost to use Patreon? Patreon is nothing but the online web service which is used to fund the creators directly from fans or sponsors for the content that has been uploaded by the creators. This can be used to boost up the performance of channel by purchasing high-quality devices while making the video content in regarding YouTubers. In a simple word, it is the fan contribution to the creators. This makes creators to establish the ultimate content that grabs the attention of the audience. Initially, you just need to go through the link https://www.patreon.com/. Then you can ‘Sign up’ by entering the personal ID details using Facebook or Email. 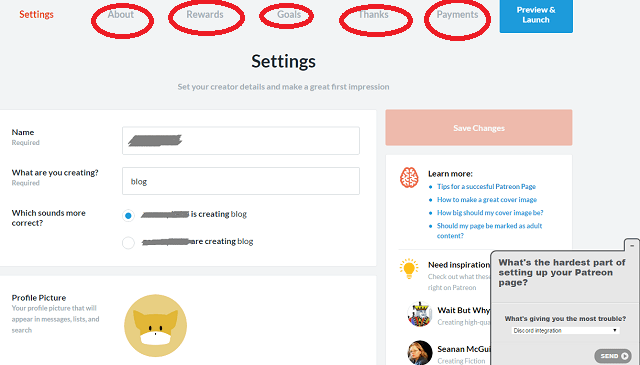 Then create the page by choosing the options like pay types including ‘per creation or monthly’, cover page and profile, photo, mentioning the ‘about’ unit, basic video, goals, rewards and finally the text of ‘Thank you’ for the Patreon commitment. Click on ‘save and continue’ then hit on the option “Launch” on the top. Now your profile will go live which can be viewed by the public to search your content. Social media is the premier path for promotions to step ahead into the success of building patrons on Patreon. Hence, remember to use social media sites like Facebook, Instagram, Twitch, Tumblr and Twitter through which you can fetch the huge fans. Update the Patroen page with the upcoming content bytes. Release the behind the scenes for the uploaded content on Patroen page. Provide ‘Call to Action” at the end of the content you generate. Just yawp at the other creator’s activity especially with fans at your page. This helps in tying their fans as well. If are at the start up then make sure to circulate your page at your friends and family social profiles. You should research revising the expert’s pages on Patreon. Patience is the best here to fail the most of the activities on it, and after a while, you might become proficient in reaching the expectations of the supporters. Assign the name of the supporter at the end of the content you upload. So that the patron might share those happy mentions with others who can become fans in return. Use the simple and short introduction video which fulfills the proverb “ the first impression is the best” to clutch the fans. This bug can quickly fix your page. Mirror yourself at the patrons that what you are about on this Patreon page. Design the multiple goals without fixing to a single. 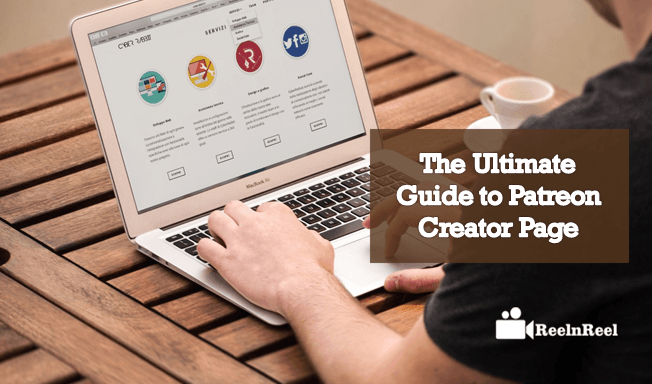 Go through the profiles of the top creators who are earning more at the starting stage. Be in touch with the supporters frequently by updating your content through messages. Always think creative to generate the unique and bounded content at which the fans are easily glued. There are three different fee structures are progressed while the creator is using the Patreon. When the creator has been paid by the patron then the Patreon will charge 5% on successful completion of the payments. Here they use either Stripe or Paypal to make payment process from the patron to creator. 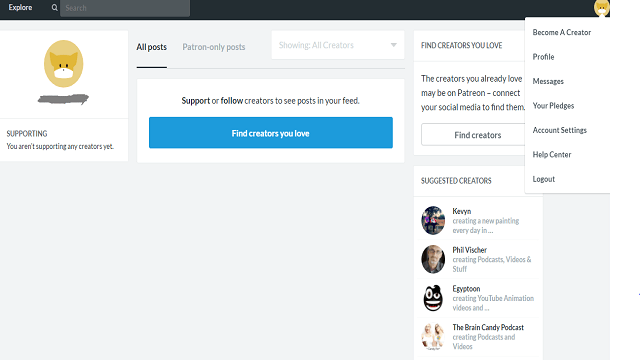 For that purpose, the Patreon will charge from the creators and it will be displayed in creator’s dashboard. In this, they will charge a high percentage for the lesser pledges at more supporters and vice versa. This will be charged for the transaction of balance from the account of a creator to actual bank account which is not being done in the Patreon. For US creators the stripe costs $0.25 for each transfer they made, whereas Paypal is in between $025 to $1. The Non-US creators will be charged $20 for each deposit which is calculated at 2% for the transaction of the payment trough Paypal, whereas Payoneer will cost $3 for each deposit. It is the most developing community which is highly attracting the content creators from all categories that are being supported by patrons. The successful payment transaction has been made which provides much excitement for the creators. We can get an immediate response from the supporting team of Patreon which could the fine service. This is a completely different platform where the genuine work has been coated with worthy payment by the patrons. Speedy support from the fans termed as patrons. It’s newly arrived stream which will take a time to attain the expected supporters. Creating the ultimate content by predicting the supporter is somewhat difficult. It consumes time to blast with the huge fans at the starting. They are launching video games especially for adults and earning $30,245.30 per month. They had almost 9,510 supporters. She has been paid with $34,583.40 in the stream of art containing 7,233 patrons. They generate the comedy videos and podcasts and they had 5,779 supporters paying about $14,108.60 per month. It’s amazing to be on Patreon which helps in bringing out one’s creativity into the real world by paying an unexpected amount for that. It could be the future platform for the talented creators being anonymously for a long time. If you want to blast the Patreon with your stuff then go on trying it.